One exciting application of k-means clustering is the compression of image color spaces. Although True-color images come with a 24-bit color depth (allowing 16,777,216 color variations), a large number of colors within any particular image will typically be unused—and many of the pixels in the image will have similar or identical colors. In this post I am going to show you how you can use k-means clustering via OpenCV and Python to reduce the color palette of an image to a total of 16 colors. My new book Machine Learning for OpenCV is now available via Packt Publishing Ltd. The book features 382 pages filled with machine learning and image processing goodness, teaching you how to master key concepts of statistical learning using Python Anaconda, OpenCV, and scikit-learn. This will be an introductory book for folks who are already familiar with OpenCV, but now want to dive into the world of machine learning. The goal is to illustrate the fundamental machine learning concepts using practical, hands-on examples. As always, all source code is available for free on GitHub. 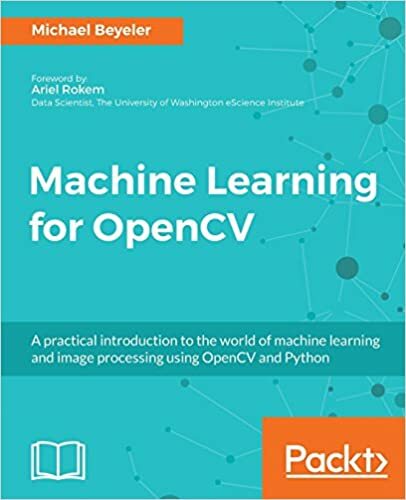 The book is packed with examples on how to implement different techniques in OpenCV—such as classification, regression, k-NN, support vectort machines, decision trees, random forests, Bayes classifiers, k-means clustering, and neural networks. Get it while it's hot! In fact, if you act fast you can get the book for $10 on Packt's website as part of their Skill up sale! Or get it on Amazon and leave a review to tell me what you think! The foreword to the book was written by Ariel Rokem, Senior Data Scientist at the University of Washington eScience Institute, a close colleague, collaborator, and mentor of mine. You can find out what he has to say about this book here. Stay tuned for example chapters and code samples!